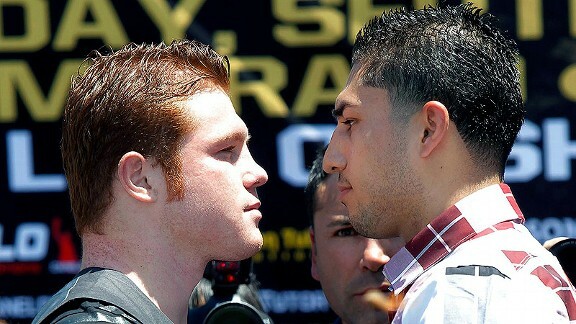 Under any other circumstances, Josesito Lopez's rise to challenge junior middleweight champ Canelo Lopez would have been a wonderful Cinderella story: a young fighter decisively beating a more experienced, naturally heavier former champ on short notice, then leaping up another division to secure a title bout for the biggest paycheck in his career. But the fact that Lopez had never fought at 147 pounds before his virtual elimination bout with Victor Ortiz (even though he broke Ortiz's jaw on his way to a TKO victory) makes his title shot at 154 a bridge too far to cross for some. Still, the weight difference between the fighters is merely one of many variables to be factored in before making a serious prediction on the outcome.